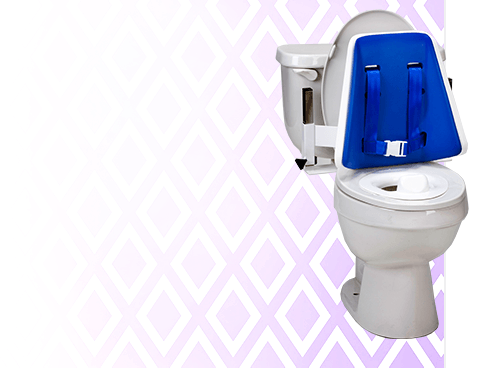 PLEASE NOTE: There is currently a 3-4 Week Lead-Time on this product! 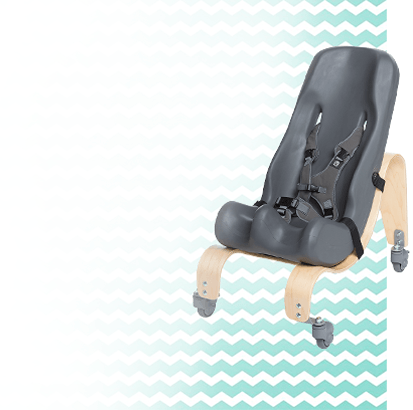 Due to the large size of the Axiom Lassen Push Chair Size 4 the manufacturer requires a completed Measurement Chart to be submitted with each order. Please click here to download and print out the Measurement Chart. You can fax the chart to us at 888-492-5371 or email it to us at Orders@Adaptivemall.com. 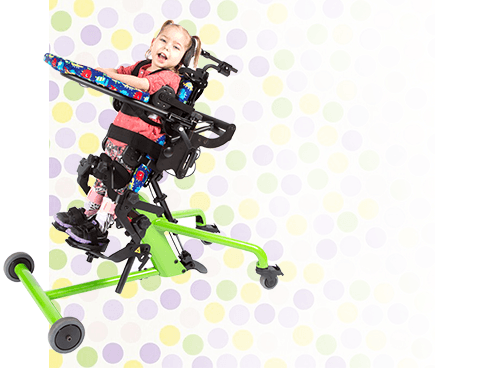 Combining over 100 plus years of equipment experience for children with special needs, the designers at Adaptive Star have produced what is sure to be, a highly popular indoor/outdoor mobility system. The Axiom equipment line is an exceptionally designed series of pediatric special needs indoor/outdoor mobility push chairs that are capable of so much more than an average pushchair. 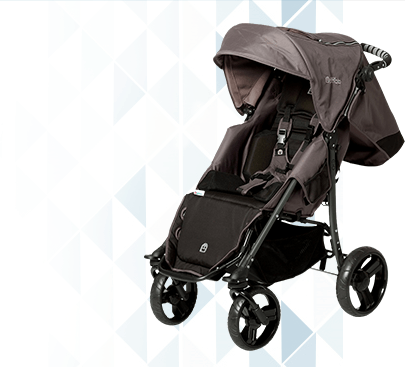 The Axiom Lassen Push Chair is different than the Axiom Improv & Endeavour Push Chairs because it has standard swivel front wheels. 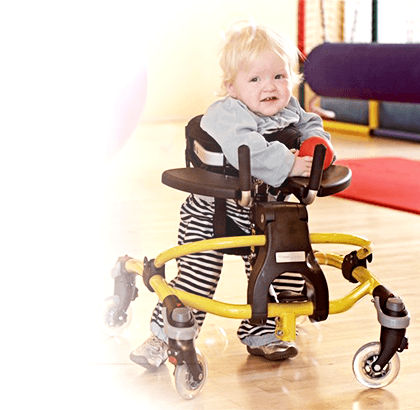 The Axiom Lassen provides a mobility solution that accommodates older children to join you and your family for many outdoor or indoor activities!<br/ > <br/ > Designed for use as an indoor or outdoor mobility system, this pushchair easily glides through driveways, over curbs, and slightly bumpy terrain. The fully adjustable sun canopy shields from any angle and the sophisticated harness system aids with positioning as do the adjustable footwells. The Adaptive Star Axiom Lassen Push Chair allows you to G.O.M.A.D Go Out and Make a Difference! The Axiom Lassen special needs all-terrain, indoor/outdoor mobility push chairs accommodate individuals from approximately 9 years old and a height of 50" (127 cm) to teenagers and adults approximately 64+" (163+ cm) in height. Maximum weight capacity is 250 lbs. A heavy-duty one-step adjustable H-harness is included to maximize trunk support while using the indoor/outdoor mobility push chair. 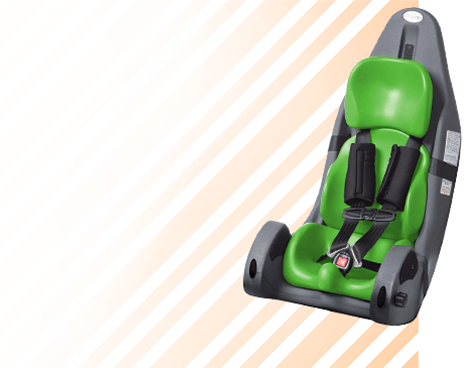 The seat angle is also adjustable from 0 to 30 degrees of recline to provide additional head and trunk support for children with mild to moderate physical involvement. Recessed foot rest with side boards and feet straps. The material is easy to wipe clean. *** - PLEASE NOTE: The Axiom improv Push Chair is 44" tall for the Size 1.5 46" for the Size 2 and 48" tall for the Size 3. This can make navigating somewhat tricky for petite caregivers. The Overall Height with the Canopy in use is 44" 46" or 48" respectively. 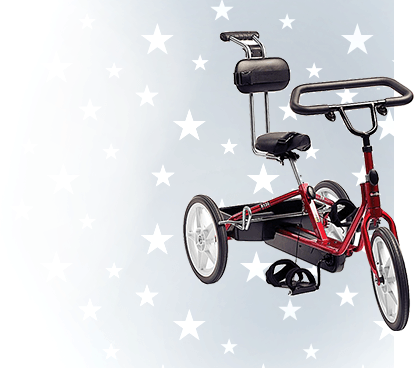 Adaptive Star can make custom modifications to the Push Chair for petite caregivers. If you are interested in learning more please call our Customer Service Team at #1-800-371-2778 for a quote.